Powerful guitar-driven Rock and Roll with killer hooks and soaring vocal harmonies. The earliest and, for the majority of the record, never-released recordings of the band are all remastered here! These are the earliest professionally documented recordings of Chris and Sean Lund, aka "Lund Bros". The first portion of the record was the result of Geffen Records' (in the year 1995) funding of the band's studio recording of six original songs for a "speculation deal". These recordings were eventually rejected as "too much like the Beatles" and the label passed on signing the band. The band are proud to this day of this ironic comparison to their heroes as are their fans who love their sound which harks back to a virtuoso songwriting style coupled with powerful rock and roll that no longer commercially exists today in our corporate mess of a music industry. 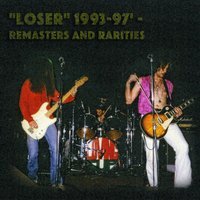 Back to our story: Being the resourceful and progressive thinking gents that they are, Chris and Sean decided to use these recordings as a basis for their first full-length record, the self-titled "Loser" released in 1998 - which continues to receive praise and rave reviews to this day. The other tracks are from even earlier 1990s sessions that were never officially released, and show the band already firmly establishing their incredible hook-based rock and roll style. All material here has been remastered at Chris Lund's Demon Studios and is heard properly here for the first time. As stated previously, the majority of these recordings and/or recorded versions were never released and can only be found here! A must for fans and newcomers alike!